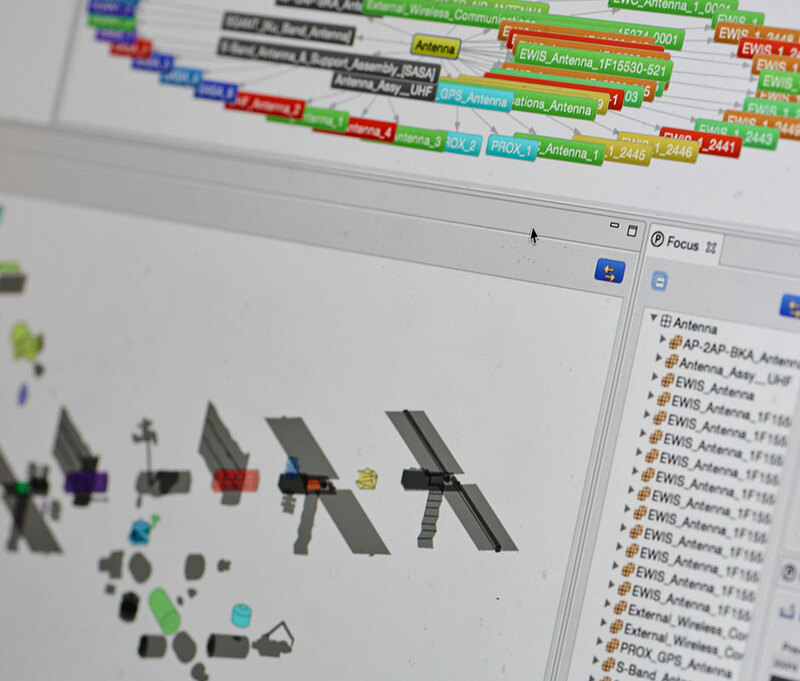 TRACLabs is developing the PRONTOE (PRide ONTOlogy Editor) software to build and maintain OWL ontologies that model equipment and tools onboard NASA's International Space Station. These models represent equipment and tools as semantic concepts with relations defining how equipment is connected, how equipment is configured, and where equipment and tools are located. These relations are useful when planning Extra Vehicular Activities (EVAs) that use tools to reconfigure or repair equipment. PRONTOE also is investigating the use of SWRL rules to represent constraints on concepts in the ontology. These constraints include physical constraints such as only one object can be placed at a location, and operational constraints (called flight rules). Scott Bell, R. Peter Bonasso, Mark Boddy, David Kortenkamp, and Debra Schreckenghost. PRONTOE: A case study for developing ontologies for operations. In Proceedings of the INSTICC International Conference on Knowledge Engineering and Ontology Development (KEOD), 2013. M. Boddy, M. Michalowski, H. Shackleton, R. Bonasso, and S. Bell. ConCEPT: Constraint-checking editor for procedure editing and tracking. In Proceedings of the International Joint Conferences on Artificial Intelligence Workshop on AI in Space. IJCAI, 2015.